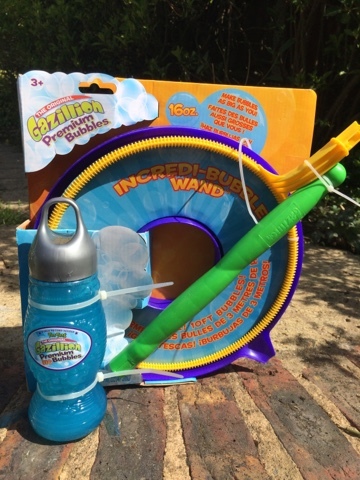 The Gazillion Incredibubble wand boasts the ability to create bubbles as big as you are! You simply pour the included bubble mix into the tray, dip the wand and wave! 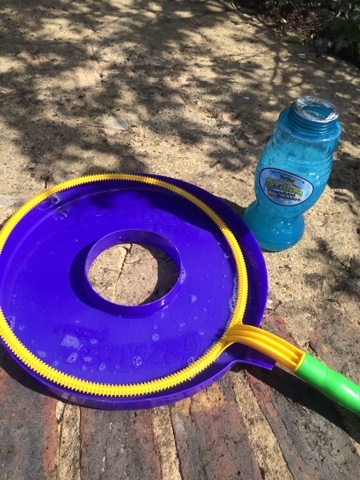 When it works, the huge bubbles are amazing! 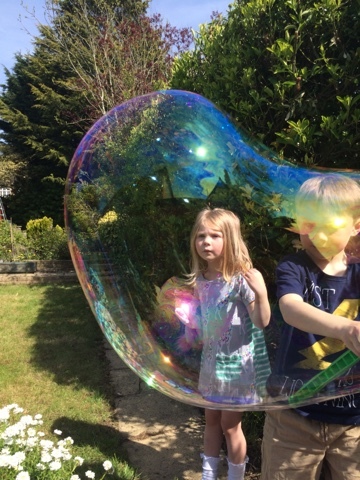 My children absolutely loved it and couldn't believe how large some of the bubbles are and I also had a lot of fun creating these mammoth bubbles! 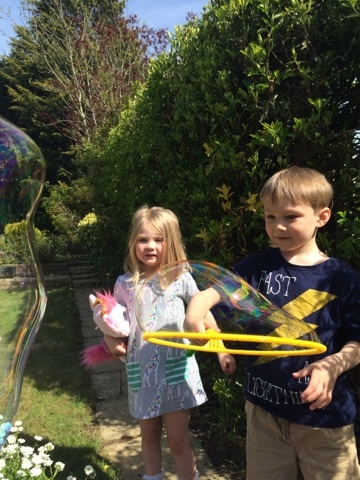 They both had a lot of fun creating the bubbles - although it does seem to take a bit of practice to get right as there was quite a lot of frustration with bubbles not forming or popping before they've even been created, but once mastered, the bubbles are epic! 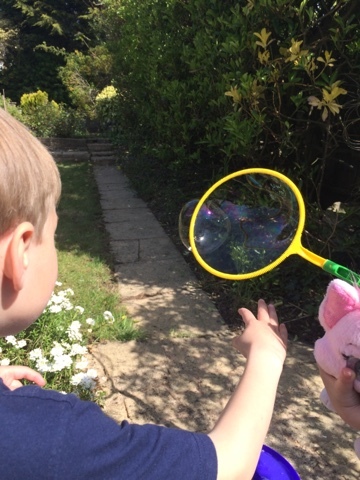 I just love this photo of Blake (age 6) creating a huge bubble and Maegan's (age 4) unbelieving face - she wanted to reach out and touch it! This was the biggest bubble they had seen at this point! Overall - good fun on a sunny day but practice makes perfect - one for the grown ups to start with! 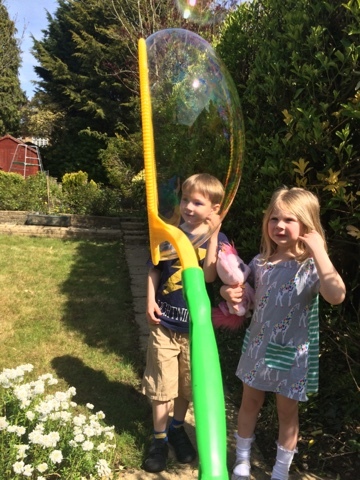 The big bubbles are absolutely amazing and sooo much fun! Disclaimer: I was sent the Gazillion Incredibubble wand for my consideration, all words, thoughts, photos and link choices are my own.